Prithviraj Sukumar has already impressed the Mollywood lovers with his acting skills, and now he is all set to make his directorial debut with the film, Lucifer. 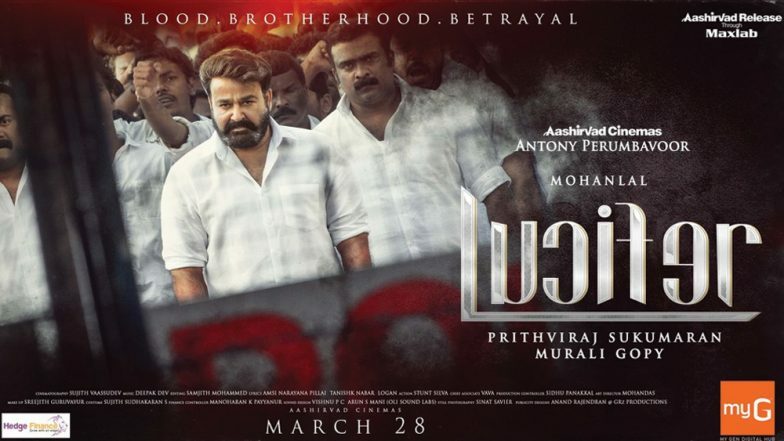 The features an ensemble cast – Mohanlal, Manju Warrier, Vivek Oberoi, Tovino Thomas, Indrajith Sukumar, Nyla Usha, Saikumar, Saniya Iyappan and Kalabhavan Shajohn. The makers have teased fans with 26 intriguing character posters and the last one was of the lead actor himself, Lalettan. After the long-long wait, the makers have finally released the trailer of Lucifer and it is marvellous! Mohanlal essays the role of Stephen Nedumpally in the film. He steals the show with his intense gaze and determined walk. The film has him in major action scenes where he is seen beating up the goons and delivering some power-packed dialogues. His dialogue, "This deal is with the devil" is sure to gain whistles in the theatre. Lucifer which is presently in the postproduction stage, has been cleared without any cuts. For those who don’t know, Bollywood actor Vivek Oberoi has made his debut in the Malayalm film industry with Lucifer. Written by Murali Gopy, the film is all set to hit the screens on March 28.